The Cabinet Committee on Investment (CCI) is believed to have approved setting up two hydro power projects in Arunachal Pradesh. New Delhi, Aug 1 : The Cabinet Committee on Investment (CCI) is believed to have approved setting up two hydro power projects in Arunachal Pradesh. "Defence and Home Ministries have also given their consent for the construction of two hydel power plants in Arunachal Pradesh," a source close to the development told PTI, adding that the CCI has given approval to the project. CCI is also believed to have cleared three Railway projects. Hydro power contributes 18.6 per cent at 39,416 MW to the overall installed generation capacity of 2,11,766 MW. 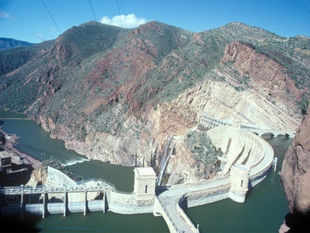 As per reports, Arunachal Pradesh has the highest potential for hydropower generation in the country at over 50,000 MW. NHPC is constructing hydro power projects of over 4,000 MW which includes 2000 MW Subansiri project at the Assam-Arunchal Pradesh border. The company is facing stiff opposition from locals over the construction of the project. Centre has set up a committee to look into the matter and come up with a solution. The government has also denied clearance to some other hydro power projects in the North-eastern region for reasons including the disaster in Uttarakhand. NHPC had signed an MoU (Memorandum of Understanding) in 2007 with the state for investing Rs 27,000 crore for setting up mega hydro projects by the end of the 12th plan period (2012-17).